Dr. Gaff\'s passion and love for dentistry as an art is evident by her countless hours of continuing education and seminars. She is always attending continuning education courses to ensure that her patients recieve quality care. 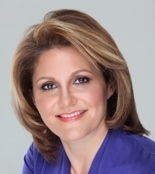 Dr. Nazita Gaff graduated at the top of her class from the prestigious Tufts University school of dental medicine in 1993 . after spending another year in post graduate fellowship at Boston University School of Dental medicine , she opened her first practice in Massachussets in 1995.